I couldn’t write a new post yesterday, because we didn’t have internet, which was very annoying. But I’m here today with some of my random thoughts. 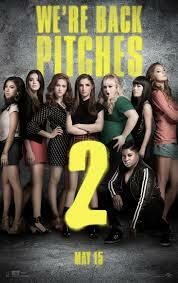 Firstly, I went to the premiere of Pitch Perfect 2, which I had been waiting for since the film was announced. It was the first time that I went alone to the cinema, which was a bit weird, but great at the same time. In my opinion the film was even better, than the first one. As you may or may not know, Pitch Perfect is my favourite film, so it was a huge relief that the second film was amazing as well. Pentatonix were also in the movie, which I was so excited about, even if they were on screen for about a minute. I loved every second of this movie, and I can’t wait to watch it in English, too, because in the cinema it was only available in Hungarian. I highly recommend this film to you, if you can, go and watch it! It was so funny, I was laughing almost the whole way through. I love it. Sometimes it is very hard to find some reasons to be happy, so today I attempt to share with you some reasons which make me want to be happier even on my bad days. I was inspired by a post I read on the Books, Tea and a Onesie blog, which by the way I really like. In one of her recent posts she talked about creating her own hashtag #BTOReasonsToBeHappy, which I thought was a great idea. I decided to dedicate a whole post for the reasons to be happy hashtag, and try to spread happiness everywhere in the world. Whoever is on my blog right now, I wish you the best, and try to seek the things to be happy for. Anyway, it’s time to collect some reasons to be happy in my opinion. Generally, I try to be as positive about things as I can be, but occasionally I am very-very pessimist. It’s difficult to focus on the things which make you feel good and healthy all the time, and I’m sure everyone has a down time sometimes. I am a person who has lots of bad days, especially in the last few weeks because of the huge amount of stress I have to deal with. So it’s the perfect time to try to let the negative thoughts go away and attract some positive thoughts into my mind instead. Having a family can stress you out sometimes, but actual thought of having some people who are always there for you, love and support you is an important reason to be happy. It seems to be obvious that they are there for us, but if they weren’t we would be in a very big trouble and actually feel how important they really are to us, even if we don’t really agree with each other a few times. Some relatives who live far away from me make me very happy, too. The thought of meeting them again is one of the best feelings ever. I can’t believe I had no time to write more posts this week. I was a hundred percent sure I’ll have some time, but I literally did not have any spare time in my short school break. I was doing different projects for school every day. It was my second day back in school, and I already have to do some more work, which is exhausting. But hopefully I can relax a bit on the weekend. I have done my projects for arts and civilisation classes, and my essay for English class, but I still have to do it for physics and grammer. I have to edit a video project for media class this weekend, too. That’s why I couldn’t write more, sorry about that. I know, I complain again, but I’m very busy with all these stuff right now.